I noticed today my Miniature Art Etsy store display has changed. Etsy have been rolling out changes over the past few months and this is how my items are looking today. Descriptions and paintings information is now on the side instead of underneath the photographs and there is now more information available. I’m in the process of updating my listing so they have the best for keywords etc as Etsy search is very important and I need to fine tune my online presence with the changes, but my store is open as normal. Nothing much has changed for shoppers. All items are available! Just watch out to the side for more information including size and terms etc. 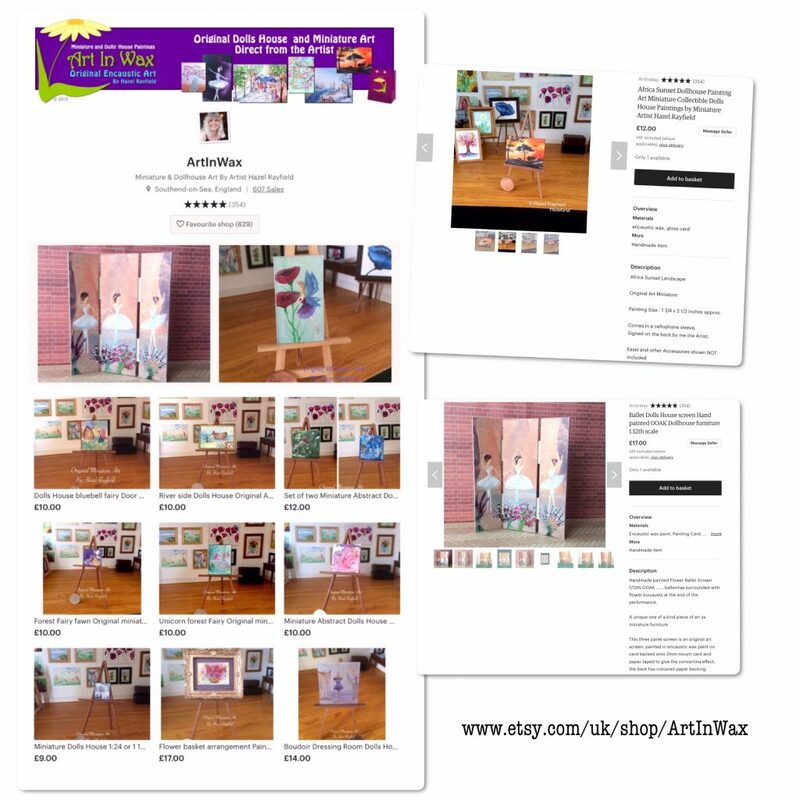 My store accepts both PayPal and Etsy pay payment options. Etsy pay allows payment with not need for a pay pal account as they take most major cards. Collectible Dolls house paintings : Not suitable for children.